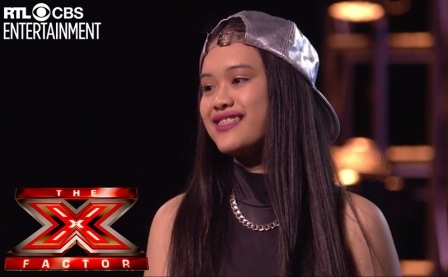 Elysa V, the Pinay-Australian Singer Makes It on the X Factor UK's Individual Bootcamp Audition! 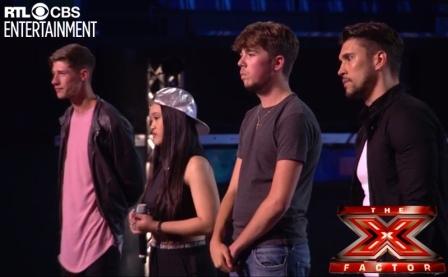 Elysa V was the only rose among the thorns during the group bootcamp performance at the Sunday’s episode of The X Factor UK. Along with three guys El'Tee, Brad Howard and Sam Black, the group started with the song Locked out of Heaven by Bruno Mars. 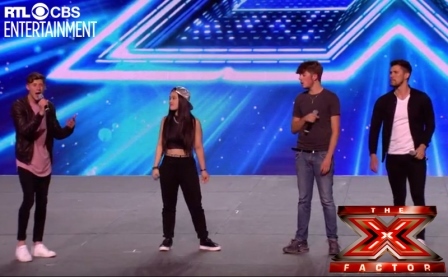 Not long after the performance, Simon Cowell raised his hand and made them stop. “This is not working, this is a bad song,” he said. “I’ll tell you what we’re gonna do. We’re gonna judge this acapella,” he added. When Sam Black struggled to continue with the song, judge Nicole Scherzinger encouraged the group to help him out, and Elysa took the lead in the part of the chorus. After the song, the judges had a long deliberation on who should move to the next round. It was noticeable that the judges were having a difficult time deciding as it was a hard song. After the judges’ long conversation among themselves, Louis Walsh talked to the group. “This has been so difficult guys because the song didn’t suit you. Some people were better than the others, but you can see [that] we’ve had a really long conversation about everybody,” he calmly said. “So what we’re gonna do is we’re gonna give you all a chance,” he added. Upon hearing the good news, Elysa V gleefully jumped out of excitement and rushed to exchange hugs with the rest of the group. Before everyone left the stage, Simon Cowell shared a few words. “It was partly because of the way you’re all with each other. This is the last pass you get because [as] you go forward tomorrow, it’s your own choices now, there’s no excuses,” he said. “I think you all behaved really well and we’re happy to give you all another shot tomorrow,” he added. Elysa V and the rest of the group is moving to the individual bootcamp auditions which will define their chance for the Six Chair Challenge.